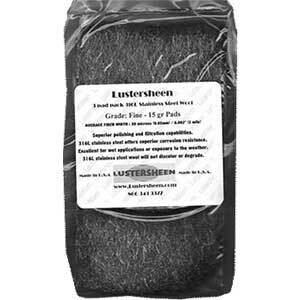 Lustersheen 5 lb Bronze Wool Reel, the mariners choice for stripping, sanding, smoothing, and polishing all types of wood and metal surfaces. Excellent for: cleaning glass, aluminum molds, golf clubs, aluminum outdoor furniture; removing rust from metal surfaces; polishing brass and stainless steel. 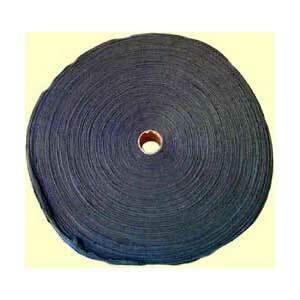 Can be used as insulation in frequency enclosures and in many areas of filtration. 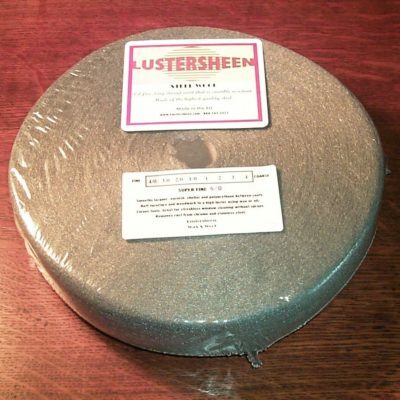 Lustersheen 5 lb Bronze Wool Reel (Web is 4″ Wide x approx 90 feet long. 5 LB Weight). 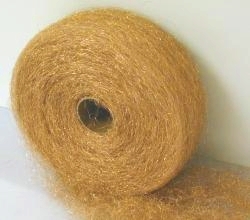 Bronze Wool, the mariners choice for stripping, sanding, smoothing, and polishing all types of wood and metal surfaces. FROM STEM TO STERN – Bronze Wool has long been used by professionals and do-it-yourself boat owners to achieve superior refinishing results with hardwoods such as teak and mahogany. 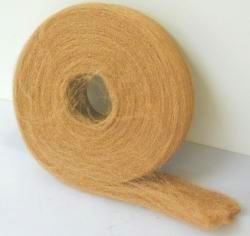 Unlike steel wool, which leaves behind small fibers that can rust and discolor wood in corrosive marine environments, Bronze wool resists shedding, rust, and corrosion. 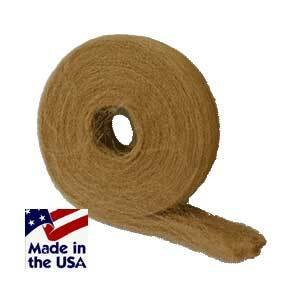 Bronze Wool cuts better and faster than sandpaper and other abrasives, with fewer scratches. It is an essential maintenance item for boaters seeking to maintain beautiful wood and bright work. Whether it’s stripping old varnish, burnishing bottom paint, smoothing raised grain, buffing teak trim, polishing chrome accessories or accomplishing a variety of other “ship-shaping” tasks, do it effectively with Lustersheen American made Bronze Wool. Also excellent for: cleaning aluminum molds, golf clubs, aluminum outdoor furniture; removing rust from metal surfaces; polishing brass and stainless steel. 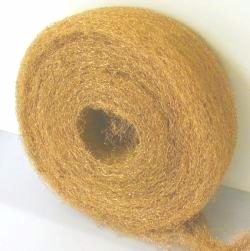 Can be used as insulation in frequency enclosures and in many areas of filtration.